Mandy is a ten-year-old deaf girl who struggles in a hearing world. Her exploits to prove herself land her in a strange world where she finds that to deny her destiny has serious consequences on herself and others. However, she befriends the King's Son and finds what life is all about. 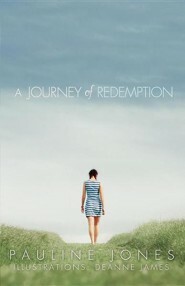 In Journey of Redemption, Mandy must save the land of Teriga and by saving the land, she saves herself. This is a story of an outward and inner journey of a young girl as she tries to find her way in the world and to make meaning of life and the circumstances she finds herself in. Pauline Jones lives in a country town in NSW Australia has been a teacher for over three decades. She has a passion for children to get to know Jesus and also how each and everyone is loved and valued in God's scheme of things. She is married with two sons and one grandson. I'm the author/artist and I want to review A Journey of Redemption.